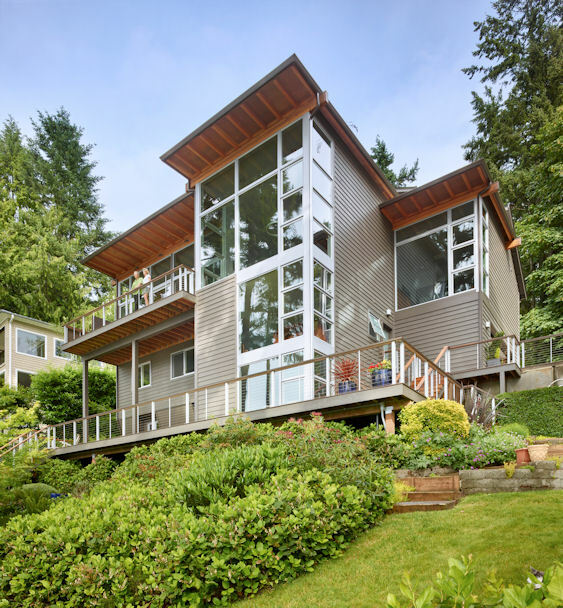 This home was primarily purchased for its exceptional waterfront location with spectacular west Sound Olympic mountain views. The home functionally met the basic needs of the family of four but from the outset they held the dream of reforming it to match its location. Once the children went off to college they decided to set their dreams in motion seeking the homes full potential. This led to the complete transformation of the exterior, starting with the entry procession. The new entry established ease of flow, invitation and expectation. Continuing with the flow, the kitchen was relocated allowing the formation of the living, music room, and dining. Enhanced privacy was reinforced for the master suite, located on the same floor as living and living areas, by careful placement of all window openings. In the end, a dream realized.